Looking to incorporate art and design into your STEM subject learning? Here are 10 cool STEAM suggestions we found from School Specialty. These STEAM projects will help your students grasp science, tech, engineering and math concepts through the creative process. Op artist Josef Albers combined art with science as he explored colors’ relationships within geometric shapes. Students will create shapes and colors that appear to optically move through screen printing and fluorescent inks. Combine learning about invertebrates and arthropods with the creation of 3-D line drawings of beautiful crustacean shells. Fish adorn their ocean and lake habitats with their colorful beauty, and relief sculpture has adorned buildings throughout history. This project melds biology and architecture with gorgeous results. Students use simple materials to create abstract horses reminiscent of Alexander Calder’s stabiles in a mixed-media lesson that crosses the visual arts with science and history. The creation of sunflower sculptures reminiscent of Van Gogh’s celebrated 19th-century paintings are an artful addition to a gardening or plant biology unit. The seed-paper blossoms can be directly planted in the earth. Take a break from geometry proofs and explore the concept of depth through the art style of Demuth. He created the illusion of depth on paper using drawing and paint techniques on paper. How the eye perceives and processes optical illusions and color wavelengths is a study best explored through both science and art. 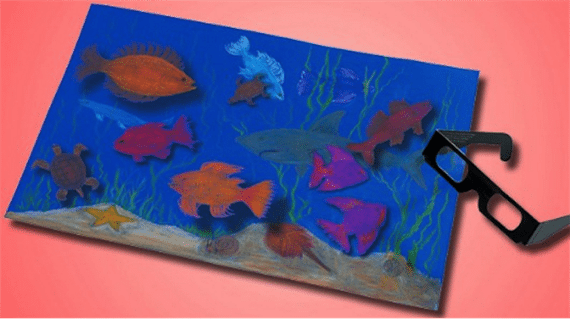 Crafting an artwork that will respond in 3-D when viewed through 3-D glasses fits the bill. The individual spirals in this glazed and fired mosaic can be measured, counted and charted to connect the lesson to math, and the incidence of spirals and shells in nature to life science. After studying the larval stages of butterflies and moths, students will revel in crafting their own unique caterpillar interpretations. The study of circle theorems comes full circle with an exploration of art forms throughout cultures and history. Students can use their own favorite real-world objects for circular block printmaking. 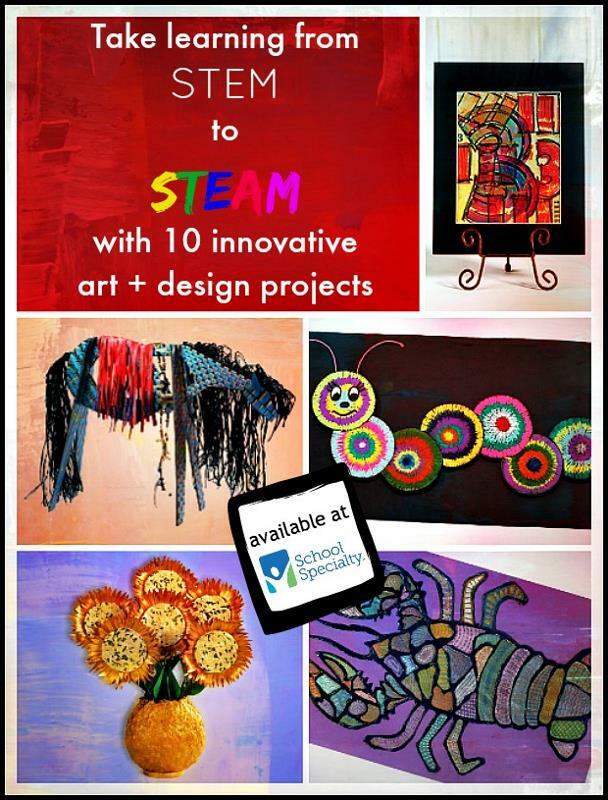 Find more STEAM projects in School Specialty‘s lesson plans and supplies!